The festive season is certainly in full swing in the Fuzion offices as well as with our clients, who have some amazing gift ideas to be enjoyed this Christmas. You are bound to find something for the whole family to enjoy as well as the foodie, explorer and shopping addict in your life. There’s also some information on fun, quirky nights out to help ring in the New Year, as well as the opportunity to give back by supporting the Mercy hospital Foundation Christmas Appeal. 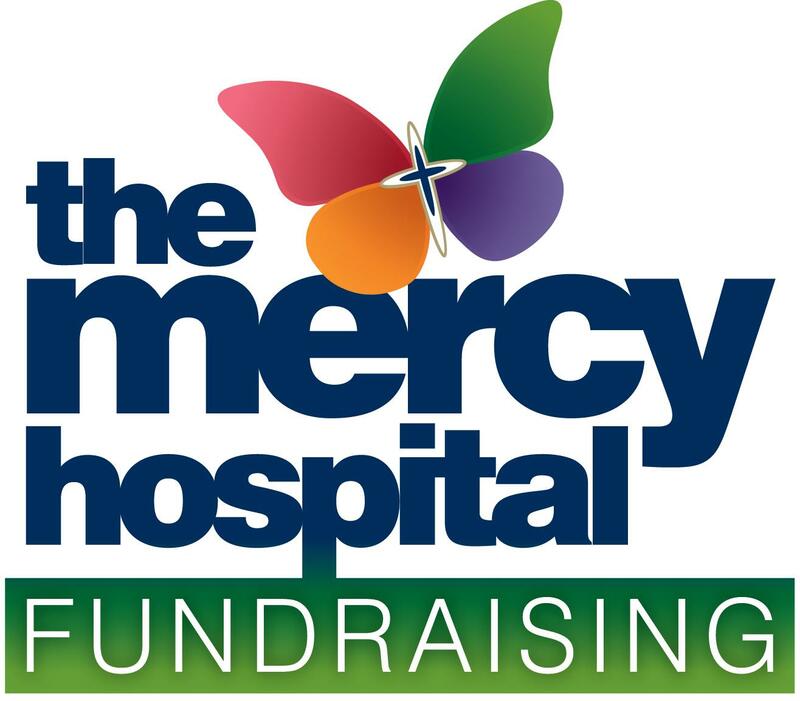 This Christmas the Mercy Hospital Foundation is fundraising for a 3D Minimally Invasive Surgery (MIS) System at The Mercy University Hospital, which can be used in kidney, liver, prostate, esophageal, and stomach cancers. Importantly, it can also be used in cases of bowel cancer, of which Cork has the highest rate in the entire country. By 2020, 1 in 2 people in Ireland will develop cancer during their lifetime and by supporting the Mercy Hospital Foundation this Christmas, you can help make this difficult journey easier. 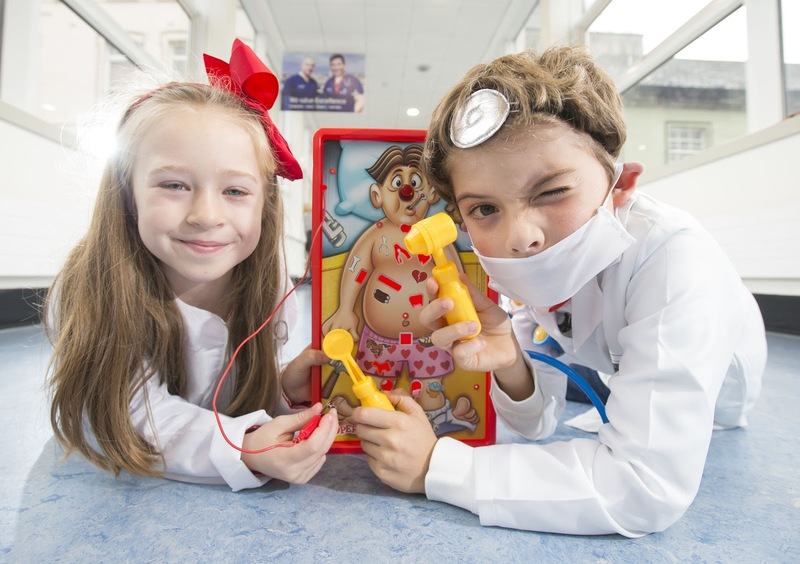 The new state-of- the-art 3D MIS System, which will be purchased through funds raised by The Mercy Christmas Appeal, will enable medical teams at The Mercy to carry out even more keyhole surgeries in Cork, and this means that patients will not need to be afraid of major scarring and recovery time will be sped up. By donating just €50 this Christmas, you are not only helping to save lives in the Mercy Hospital, but you are investing in the future of cancer care in Cork. James Whelan Butchers is a fifth generation family-owned and run butcher business and producing high quality products is part of their DNA. In 1960, James Whelan Butchers first opened their doors in Clonmel, Co. Tipperary and since then they have expanded five times to locations in Dunnes Stores and Avoca in Dublin. This year for Christmas James Whelan Butchers has two very special gift ideas for the foodie in your life – Beef Bonds and Butchery Demonstration Evenings. Christmas is a time of giving, but sometimes the perfect gift can be hard to find. This year, award winning artisan producer James Whelan Butchers has something a little different, “Beef Bonds” – an innovative approach to Corporate gifting or for the food lover in your family or circle of friends. The Beef Bonds are priced at €100 each for an Angus and Hereford bond, or the more exclusive Wagyu bond priced at €150 each. The Bonds generally mature within 14 to 22 weeks (but shorter-term bonds are available on request), so you can look forward to a meat packed surprised in Spring 2018! On maturity of the Beef Bond the below variety box will be delivered to the bondholder, anywhere in Ireland or the UK. 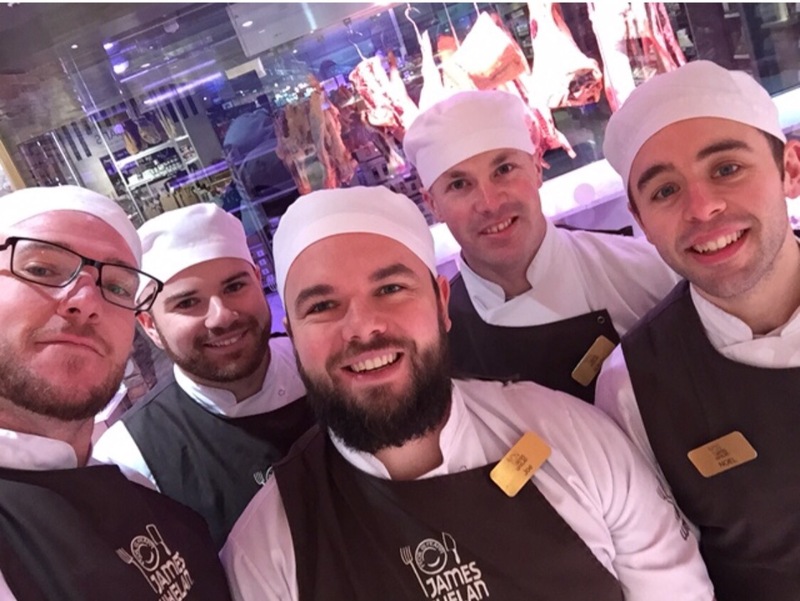 The James Whelan Butchers, Butchery Demonstration Evenings are the perfect gift this Christmas. 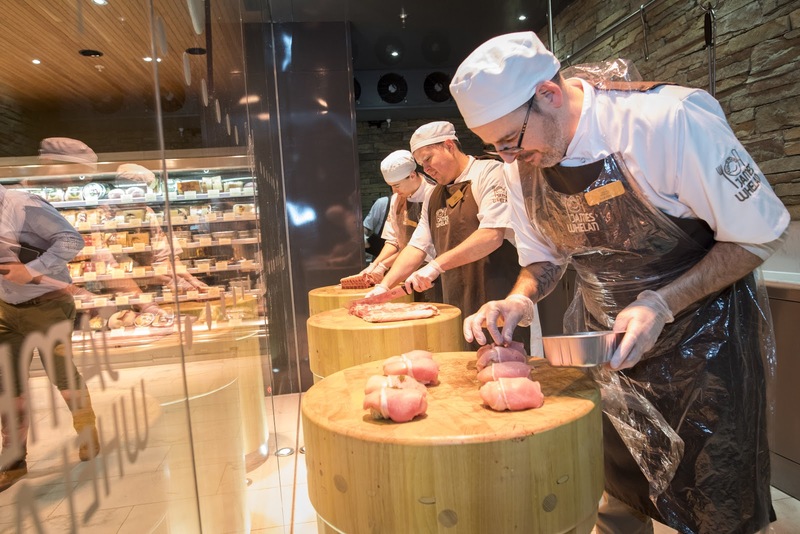 Learn from two of their Master Butchers as they demonstrate knife skills, pork and beef butchery and how to debone a chicken, while you sit back and enjoy the experience with a glass of wine, some James Whelan sausage rolls as well as tastings of our slow roasted pulled pork. Not only will you leave with a newfound appreciation of the magic of meat but each participant will take home a gift bag including “The Irish Beef Book” and the pork joint that you stuffed and rolled on the night. Dunnes Stores Simply Better Collection was established in 2013. Since then the brand has received over 300 food awards, the most awards for any Irish food brand. It is a cross category collection, spanning all major food categories plus confectionery, coffee, flowers and occasion-specific products. The collection promises to offer the customer proper food made in the right way – simple, recognisable and done exceptionally well. As part of the Simply Better Christmas Collection they are offering a gift of pure luxury with exclusive Simply Better Christmas Hampers. Presented in a beautiful willow basket, the four hampers ranging from €50 – €100, carry a wealth of opulent delights and thrilling tastes, from hand crafted puddings to award winning handmade preserves and chutneys and decadent treats all selected and packed carefully. 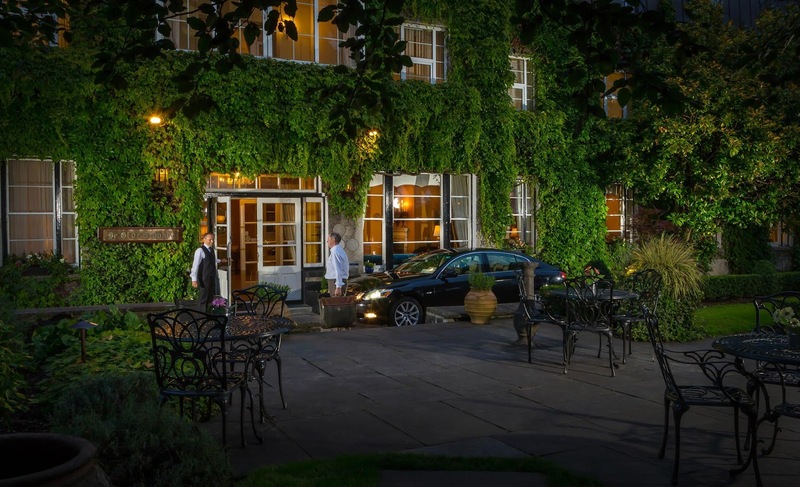 Flynn Hotels is a family owned hotel group with four exceptional properties, the Newpark Hotel, Kilkenny; Imperial Hotel, Cork; Old Ground Hotel, Ennis; and The Park Hotel, Dungarvan. Combining superb service, beautifully appointed rooms, fine dining and excellent facilities. Whether you are looking for a city break, family getaway or romantic weekend in Ireland, Flynn Hotels is the perfect choice. This Christmas Flynn Hotels has some terrific gift voucher ideas, and let’s be honest who wouldn’t want the chance to slip away for a few nights in the New Year to wine, dine and relax! Spend €250 or more on a gift voucher for any of the Flynn Hotels, including The Imperial Hotel, Cork; Newpark Hotel, Kilkenny; The Park Hotel, Dungarvan; and The Old Ground Hotel, Ennis; and get a gift of a free night’s stay at any Flynn Hotel for yourself, or for the lucky recipient – the choice is yours. Gift vouchers are available online at www.flynnhotels.com or directly from any of the four hotels. 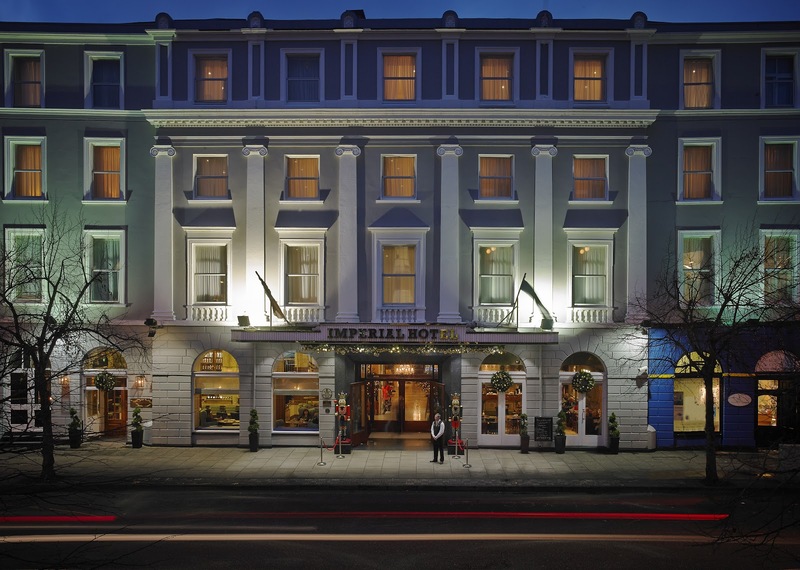 This Christmas, treat a loved one to a luxurious stay at any of the Flynn Hotels including The Imperial Hotel, Cork; Newpark Hotel, Kilkenny; The Park Hotel, Dungarvan; and The Old Ground Hotel, Ennis. Purchase two nights with a full Irish breakfast each morning and dinner on one evening, and you’ll get a third night absolutely free. To book this package online at www.flynnhotels.com or contact any of the hotels directly. The Oyster Tavern, which dates back to the 1700s, was part of the €50m redevelopment of The Capitol Building, which reopened last summer. The 18th Century bar underwent a €1.5m makeover after it was taken over by well-known publican and restaurateur Alan Clancy, who also owns 37 Dawson Street, House and The Oak in Dublin. The two storey bar and restaurant caters for all tastes, the downstairs bar lends itself towards a more chilled and laid back customer, while the upstairs bar enjoys a party atmosphere with a DJ, cocktails, and dance areas. 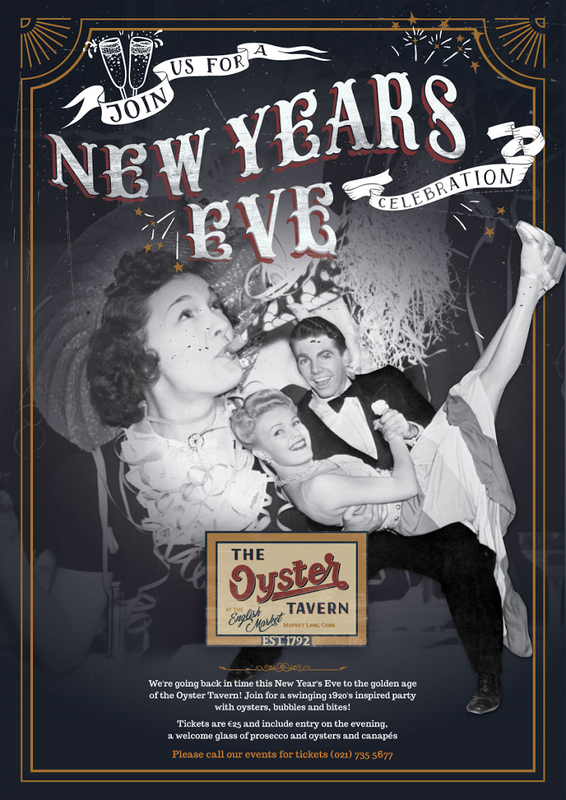 Ring in the New Year, 1920s style at The Oyster Tavern! Cork city will welcome its very own speakeasy bar, for one night only, as The Oyster Tavern takes a step back in time to the 1920’s this New Year’s Eve! Guests will be treated to Prosecco and oysters upon arrival, as well as a delicious selection of canapes throughout the night, specially created by The Oyster Tavern’s Head Chef Kate Lawlor. Bar staff dressed to reflect the Prohibition era theme. will serve up a selection of curated cocktails, along with a full bar of firm favourites. To ensure the ‘20s theme carries guests into the brand new year, music will be provided by the Tom Millett Band, with a DJ playing ‘til late upstairs. Tickets cost €25pp, and to book your ticket for the party of the year and to ring in the New Year in style at The Oyster Tavern call the events line on 021 7355677. Manor West Shopping Centre and Retail Park has everything you need this Christmas! With a wide range of fantastic stores you are sure to find the perfect Christmas present & for the person who has everything why not gift them with a Manor West Multicentre Gift Card. Manor West will also have manned car parking areas over the festive period as well as extra parking opened daily behind Debenhams during peak traffic times. All the parking as always is free of charge. Santa will also be in the centre every Saturday and Sunday, 12 – 6pm right up to December 23rd! For more information check out www.manorwest.ie or visit their Facebook page. Christmas starts with Manor West – the best shopping in Kerry! 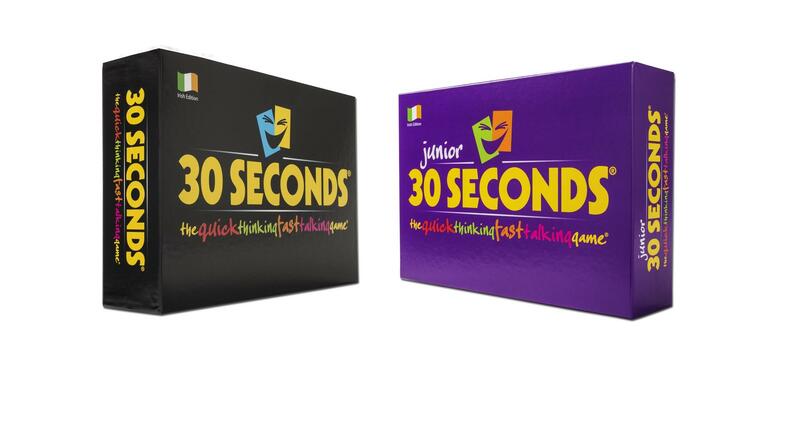 Everyone loves a great board game on Christmas day and 30 Seconds is the quick thinking fast talking description game that is perfect for any group or family, big or small. It’s simple to play and is easily enjoyed by all age groups – it really is the game for everyone! The game is straightforward; players must describe & give hints to their teammates so that they can correctly guess as many of the five names on the card as they can – without using any ‘sounds like’ or rhyming tactics. All this of course has to be done in 30 Seconds! 30 Seconds is fiercely entertaining and can be played by anyone anywhere – just keep the noise down! While 30 Seconds is suitable for teenagers, college students and adults of all ages, Junior 30 Seconds is good for primary school children, and their families and teachers. The RRP is €29.99 and it is available in toy stores nationwide. 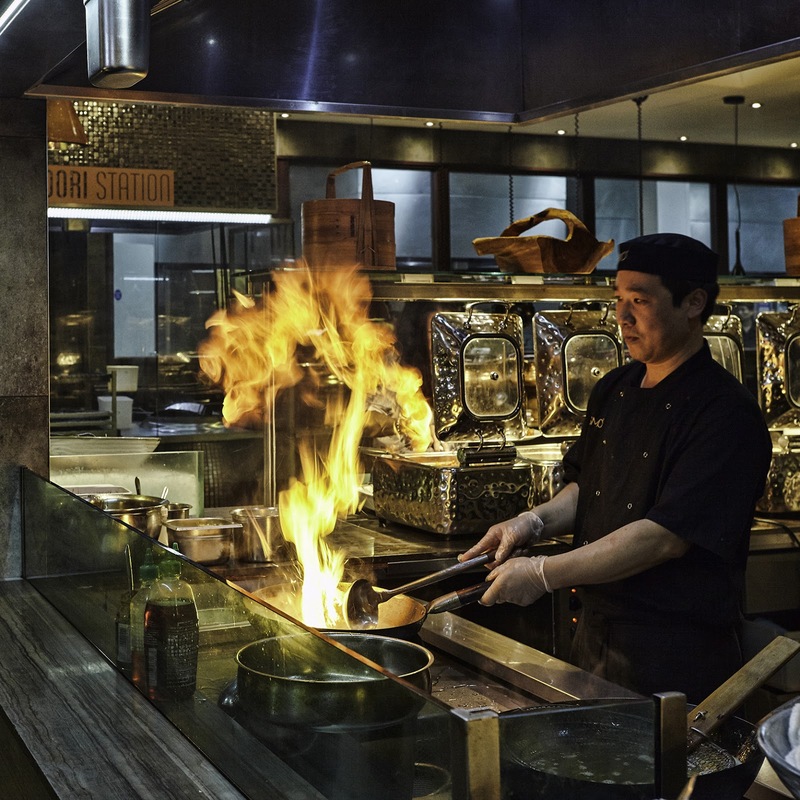 Gift the experience of sizzle at Cosmo Restaurant at Liffey Valley – an exciting dining experience that promises to bring it’s customers on a trip around the world as they experience a variety of cuisines, flavours and cultures. With a festive Christmas menu currently available at one set price starting from €10.99 (prices for Lunch and Dinner vary), diners can also expect to be taken on a gastronomic journey where they will discover authentic flavours and cultures with a choice of over 150 dishes from around the world. Cosmo has a “cook fresh, eat fresh” philosophy with live cooking stations, including Teppanyaki which will provide a theatre of tastes, aromas and sounds, this will be most definitely a dining experience unlike any other. COSMO Dublin is open seven days a week (closed Christmas Day) and customers can expect to enjoy unlimited courses for one set price, (prices for Lunch and Dinner vary). COSMO Dublin, is the perfect venue for families, groups of friends or colleagues. 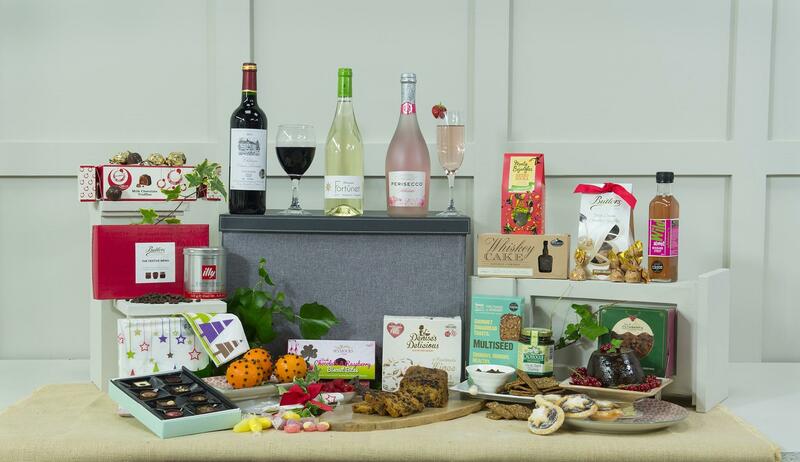 Established in 1991, Town and Country Hampers is one of Ireland’s leading hamper companies. 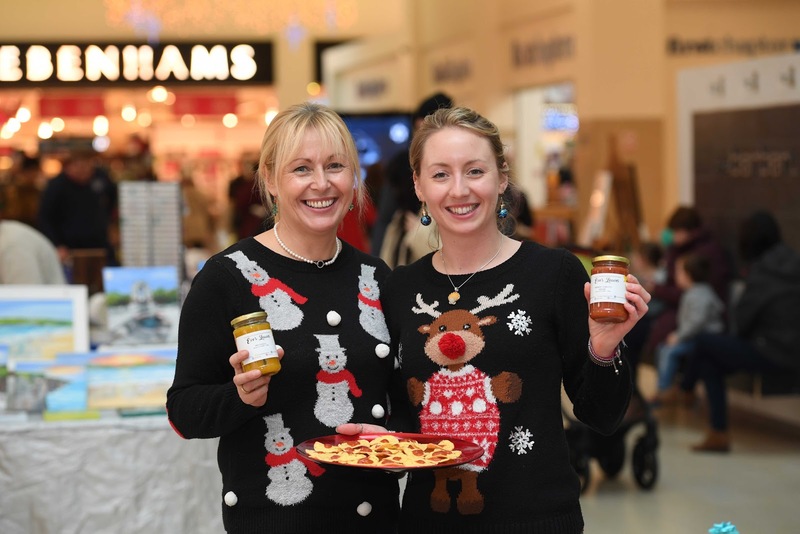 Sourcing only the finest and genuine Irish products, Town and Country Hampers has earned a Guaranteed Irish Award, acknowledging their support for small independent Irish producers. With a fantastic selection of gourmet gift hampers, you are sure to find the perfect one no matter what the occasion. A new addition to Town and Country Hampers is the Gluten Free Hamper (€36.00). The Gluten Free hamper maintains Town and Country Hampers tradition of providing award winning Irish Artisan foods whilst also providing Coeliac sufferers with a gluten free hamper option. 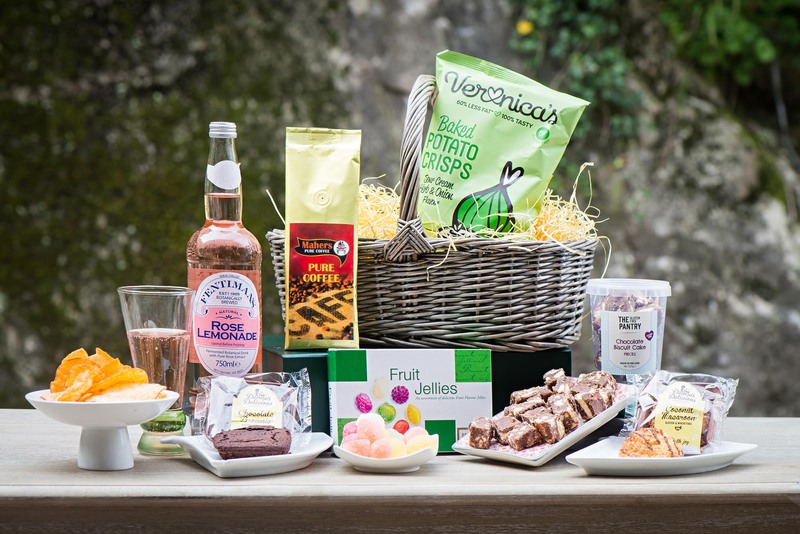 Beautifully presented in an elegant wicker basket, contents include Cornelius Lemony Lemonade, Pandora Bell Real Fruit Jellies, Denise’s Delicious Macaroon Gluten Free Cake slice & Chocolate Brownie, Utterly Nutty Florentines Crispy Bites, Veronica’s Baked Organic Crisps & Maher’s Rich Roast Coffee. I really hope this gift guide has helped you with some last minute gift decisions. 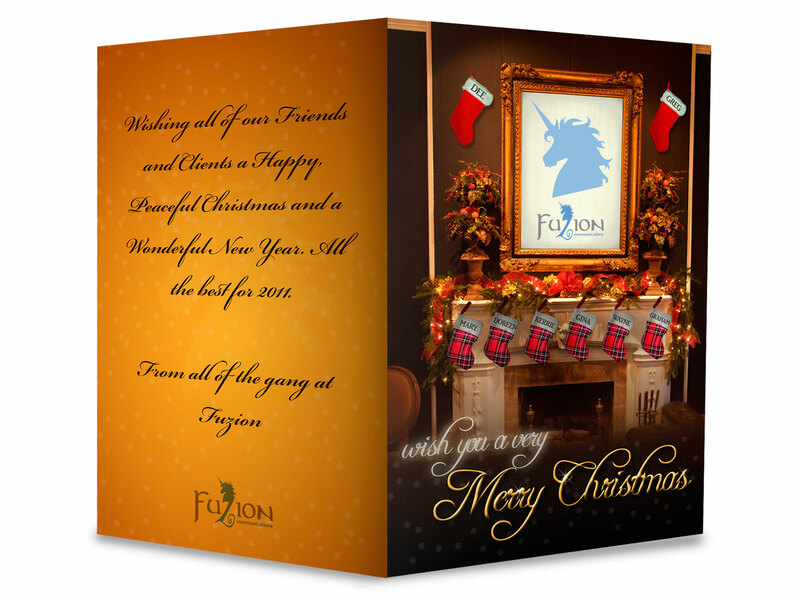 From us all in Fuzion, we hope you have a magical Christmas and Happy New Year! Christmas is a time for being grateful, for spending time with family and friends as well as the giving and receiving of gifts – the part we all secretly enjoy the most, apart from dinner of course! At Fuzion we work with an array of amazing clients which is why we know our clients have a lot to offer the public and we want our blog readers to know this too. We have listed below some of our clients that offer fantastic services or goods that would make for a perfect Christmas gift idea. We hope this might help with any last minute gifting decisions! It has been said that if tea can’t fix it, then there’s no hope! Vintage Tea Tours is the Dublin City tour with a difference and is the perfect gift for a lovely girls day out with your bestie or your mam! Dad’s will love this too but we secretly think it’s because of the Guinness Brownie! While on board you will get the chance to enjoy some of the city’s well-known sights, whilst comfortably seated in a vintage double decker Routemaster bus named Pauline and indulging in some delicious afternoon tea treats! The tour runs three times a day: 11am, 1.15pm and 3.30pm and tickets start from €40. Passengers will be in the safe hands of Driver Bob and the on-board Vintage Tea Tours Team who will share some interesting and juicy “need to know” facts about Dublin, its sights and of course the lovable Pauline! 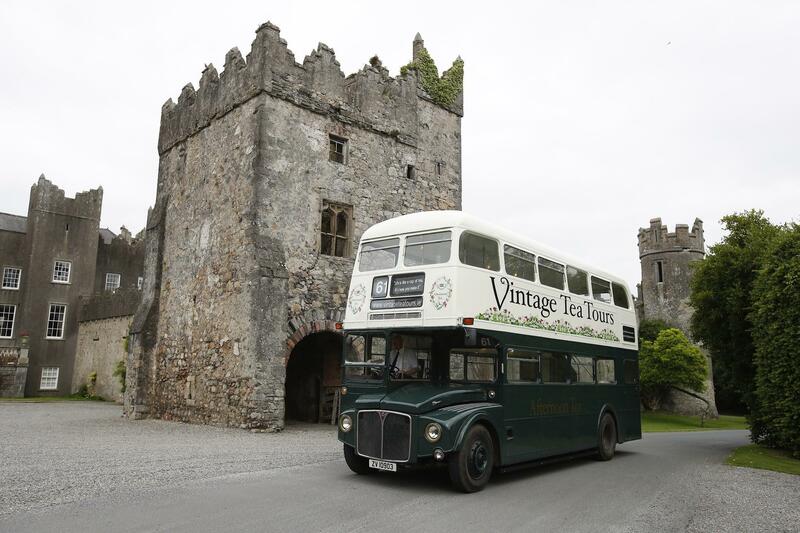 For more information on Vintage Tea Tours and to but a voucher, please visit www.vintageteatours.ie. You can also find them on Facebook, Twitter and Instagram. Ted is on Mission Impeccable this Christmas season! An unswerving focus on quality and attention to detail can be seen throughout the Autumn Winter 2016 jewellery collection, resulting in captivating pieces for the perfect Christmas present. Ted has got you covered no matter what the occasion – his alluring collection offers a variety of striking seasonal shades in emerald green, royal blue and ruby red. The floral collection is the ideal mixture of bold and beautiful. Let’s not forget Ted’s signature jewellery design the ‘Ted Baker Button’ and this season it is bigger and better with some festive sparkle – the perfect dainty piece to wear with a cashmere sweater. Available in gold, rose gold and silver, this season’s jewellery collection screams sophistication and are the perfect additions to your accessory wardrobe. Send someone on their Mission Impeccable this Christmas – please visit jewellery stores nationwide or check out www.timemark.ie for a full list of Ted Baker stockist’s. 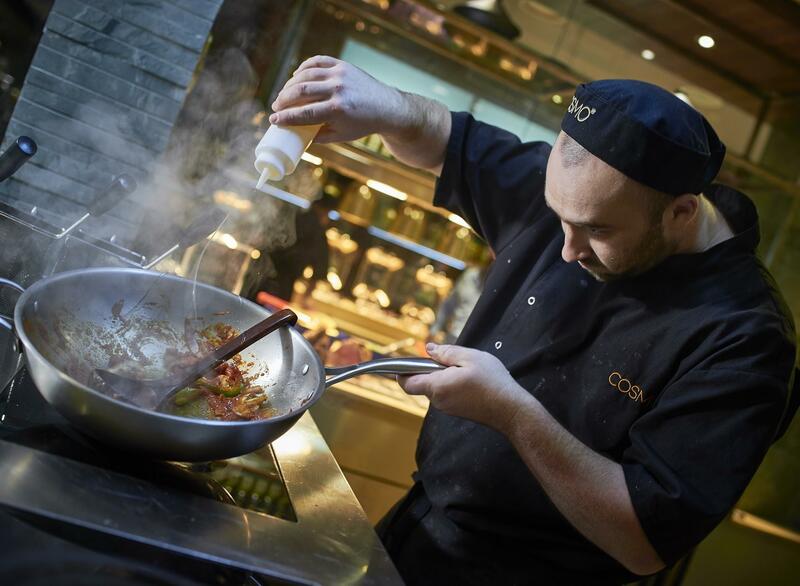 Gift the experience of sizzle at Cosmo Restaurant at Liffey Valley – a new and exciting dining experience that promises to bring it’s customers on a trip around the world as they experience a variety of cuisines, flavours and cultures. Diners can expect to be taken on a gastronomic journey where they will discover authentic flavours and cultures with a choice of over 150 dishes from around the world. With a “cook fresh, eat fresh” philosophy, live cooking stations, including Teppanyaki which will provide a theatre of tastes, aromas and sounds, this will be most definitely a dining experience unlike any other. Delicious food plays a central part in every family Christmas and James Whelan Butchers is the perfect place to find the highest-quality, naturally reared products for your table – directly from their stores to your door. Having their own farm, abattoir and shops to sell their produce, allows JWB to give people that essential element of trust that every consumer requires when they buy meat in JWB stores or order online. Want an easy way to buy quality Irish gifts without the hassle of traipsing through the shops? Then Town & Country Hampers is your answer. With a fantastic selection of gourmet gift hampers, you are sure to find the one for you no matter what the occasion, especially with Christmas on the horizon. Sourcing the finest range of genuine Irish products, has earned Town & Country Hampers a Guaranteed Irish Award, acknowledging their support for small independent Irish producers where time honoured methods are still revered. 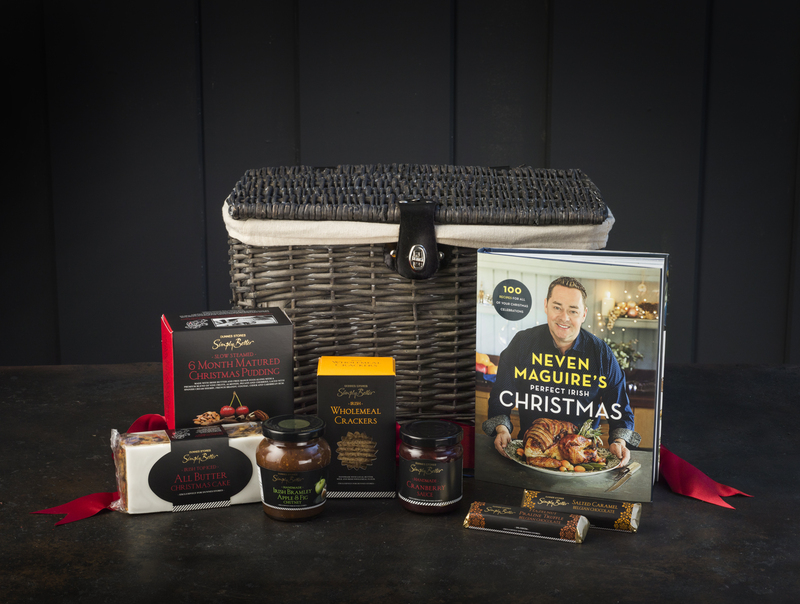 To really steal the show this Christmas, with everything you need to celebrate, Town & Country Hampers’ Festive Hamper (€129.15) will certainly deliver. Presented in a beautiful bespoke design leather bound trunk, this hamper includes an array of traditional Irish festive foods such as a luxurious Irish Christmas Pudding from Jack Cuthbert’s Bakery, chutney from Crossogue, savoury biscuits from Athenry, and Foods of Athenry Fruity Mince Pies, to name a few, all complemented with a selection of award winning French wines. 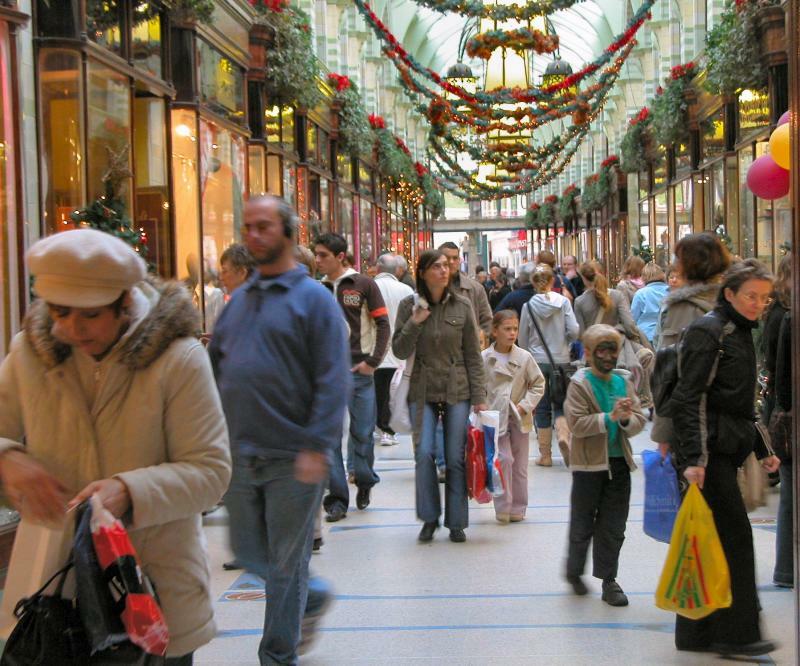 Manor West Shopping Centre and Retail Park has everything you need this Christmas! With a wide range of fantastic stores you are sure to find the perfect Christmas present & for the person who has everything why not gift them with a Manor West Multicentre Gift Card. All the parking as always is free of charge, so one less drain on the pocket! For more information check out manorwest.ie or visit their Facebook page. 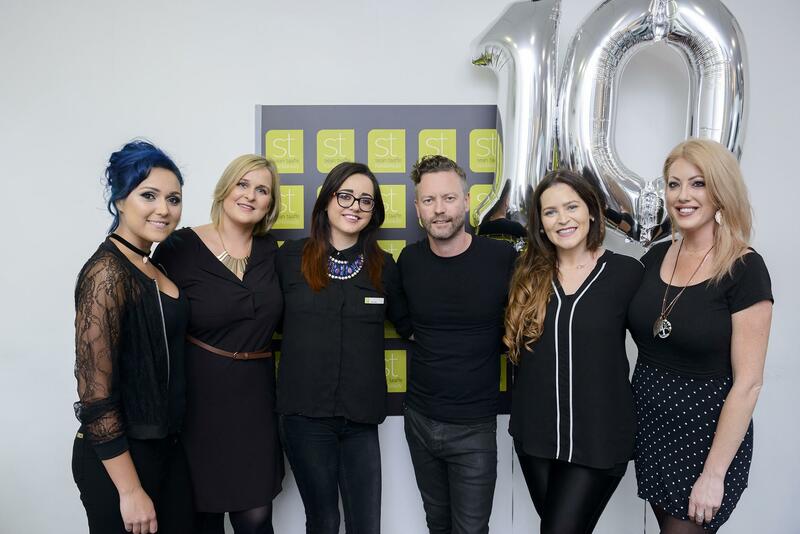 Sean Taaffe Hair – Happy 10th Birthday! Give the gift of pampering and relaxation – It’s what vouchers were made for! At Sean Taaffe, award winning hair salons your loved one will be looked after by a team of professionals, from hair to make up, from manicure to pedicure! Sean Taaffe Hair & Beauty has salons in Killarney, Tralee and Killorglin, and a team of over 60 talented professionals. For the budding hairstylist in the family why not check out the Sean Taaffe Academy. For more information on Sean Taaffe or to make an appointment please vist www.seantaaffe.com or call 066 976 1869. You can also keep up to date on the Sean Taaffe Facebook and Twitter pages. This year Down Syndrome Ireland (DSI) and their members have created a fabulous pack of six Christmas cards as well 2017 calendars. To support DSI and Sean, Caoimhe, Charlie and Paddy who helped to make these Christmas Cards please visit www.downsyndrome.ie where you can buy the cards and calendars. 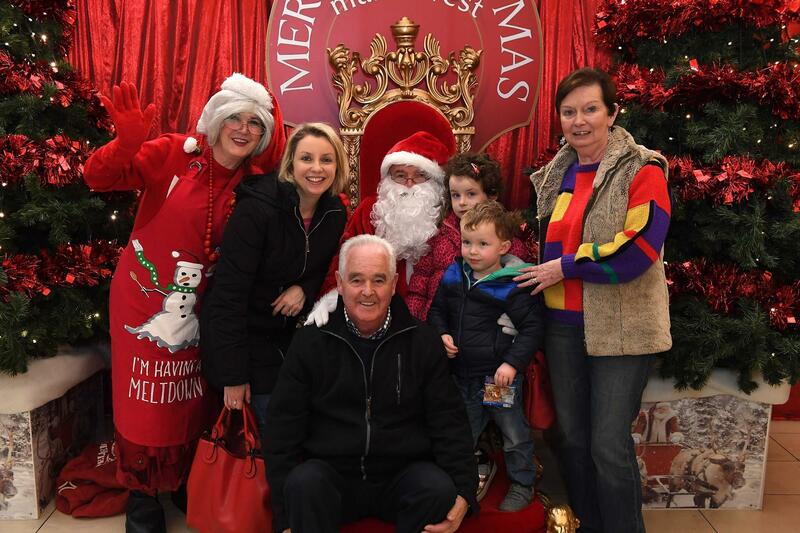 This year The Mercy Hospital Foundation Christmas Appeal will see an envelope containing a tea bag and appeal letter fall through the post boxes of homes around Munster in the coming weeks. Why does it contain a tea bag you ask? Well, The Mercy Hospital Foundation invites you to make a cup of tea for yourself and take a moment to think about what is really important in life this Christmas. As the old saying goes, there’s not a lot that a cup of tea can’t solve, but unfortunately, this does not extend to cancer. And that’s why the Mercy Hospital Foundation needs you. Thank you for reading – I hope you liked my list! I’m not sure about you but the crew here are fairly wiped out after a super and very hectic year where we had all sorts of ups and a few personal downs. We worked harder than ever before (I promise we were never slouches), because that is what is required from all of us to “storm” our way through these tricky times. We are looking forward to rolling our sleeves up again with you in 2011 and making it another good year – these challenging times aren’t going to beat us and we want to be in a position to grab those unique opportunities for Fuzion and our clients when they present themselves. But … we do need a little break to recharge the batteries and come back in 2011 with all guns blazing. We’re going to be off from December 24th till Tuesday the 4th January – we will of course be available for anything important that needs doing in the meantime. On that note the Fuzion team would like to sincerely wish our clients both past and present and all of those partners and friends who have shared our 10 Year Fuzion Journey, the most fabulous Christmas and of course a really Happy New Year. See you in 2011 for even more fun! On the 1st October of this year a really bright young aspiring Graphic Designer called into Fuzion to show us his portfolio. This followed a very courteous email about wanting some work experience at no charge. Instead of this being an obstacle he simply removed the problem by asking us to take him on for free in exchange for “experience” – since then he has been working and learning under Graham our Senior Designer for the last two months. As he says himself, he has learnt more in these two months than he had in his few years at college. Writing a piece about retailing at Christmas should be quite straight forward you would imagine, but writing a piece that it is really helpful for retailers that have been through so many of them at this stage is a little daunting I must admit! With a backdrop of recession and cutbacks, getting customers parting with their hard earned cash will be more challenging than ever but presents must be bought so let’s roll up our sleeves. As part of the preparation for this article I decided I should ask my good buddy Mr Google for a little help and see what extra nuggets I could find that would definitely impress the experienced retailers out there. If you Google “Tips for retailing at Christmas” you will be quite surprised with what you will find! My search actually took me to a website called www.christmastipsforretailers.com – can you imagine a website designated to just that topic! In a way it’s not at all surprising seeing as the Christmas period accounts for a huge % of peoples revenue as well as a huge % of footfall. Even more important the festive period will bring a large number of “new” visitors who could well be trying out your store for the first time – what an incredible opportunity if you really think about it. Customer loyalty is as a result of the good work you have done throughout the year and will determine where customers will do their shopping when it comes to Christmas. However you have to do your utmost to attract them in and compete for their attention. Database Promotions – this is where you use your databases, your invite lists, and your Facebook page for special offers, special customer nights and even Christmas cards as gentle reminders that you are open for business. While having an attractive window display is critical, remember that people need complete “solutions” with either their outfits or their gifts – be sure to put your best foot forward at all times with your most attractive and available stock. Fresh – Have new merchandise arrive throughout the whole festive period keeping your store fresh and if not refresh and rotate the key displays so that the store feels new and vibrant. Offers – Make sure your promotions are well displayed but in a tasteful way and in keeping with the overall store look and feel. Clean and tidy store – Allow extra staff time each evening for cleaning, tidying and rearranging so that the store is looking the best as much as possible. Research has shown that at Christmas 60% of purchasing decisions are made within the store – once they come in your door make sure that happens. Christmas is a Floor Show – One of the sites I visited referred to retailing at Christmas as being a “Floor Show”. The game is won and lost on the sales floor and this is where the staff and managers should be spending their time looking after customers, making sure that the part time staff knows what they are doing, spotting trends and sorting out issues – plenty time for the office work in the New Year! Happy Team – Keep your team motivated and upbeat. Christmas is a happy time and cheery staff are vital for the business. It is your responsibility to keep them happy, plan a Christmas party, bring them coffee and treats and make sure you rotate them so that they don’t get too jaded as this will result in lost business. Happy Customers – Make sure there is a good atmosphere in the store with nice scents and festive but not “too” typical music. Offering a festive drink or some sweets or treats can put the shopper in a very good mood. Once you have done the hard job of attracting people into your store you want them to do a lot more than browse and say thank you! Make it easy – Shoppers want to maximise their time and minimise their decision making so make it easy for them by bundling and coordinating products, labelling them clearly and having relevant accessories within easy access. Have a Top 10 or Favourites rail – Display the popular lines prominently making it easy for the customer to purchase with confidence. 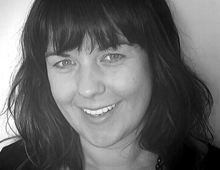 The right staff – You need the right quantity of good staff to maximise your income at this time. Bring part-time staff in during the lead up to Christmas in plenty of time so they are sufficiently up to speed for the rush. Speedy Gonzales – Have your quickest people on the tills and on wrapping duty – remember Rowan Atkinson (Mr Bean) in the store in the movie Love Actually! Exchange policy and vouchers – make it as easy as possible for customers to buy by removing obstacles such as “What if they don’t like it?” objections. Gift wrap – for the guys this is an absolute must as long as it doesn’t take too long and interferes with sales. Pre-wrap fast selling items where possible. This is the one area that for some reason wasn’t covered in any of the websites, which really surprised me. Accepting that many new customers visit your store in the Christmas period and many of the other shoppers may just be customers for special occasions, give them a special reason for returning earlier than expected. New Year Initiatives such as invitations to a special VIP Customer “sale day” or a unique voucher that can be redeemed with purchases in the New Year might achieve this. Brainstorm ideas with your staff to encourage early New Year visits for customers. Running competitions can be another clever way of building a fresh customer database at this time as long as it doesn’t create delays at the till! I hope the Christmas tips have been helpful and serve you well into 2011 when we have to do it all over again, Merry Christmas!